How to customize the column header text in MultiColumnComboBox? 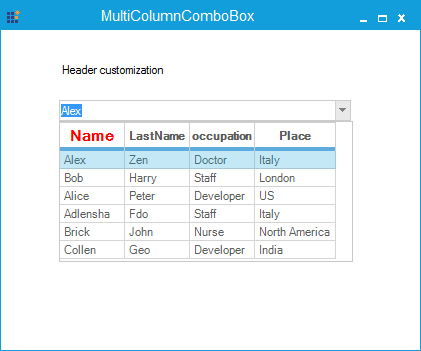 In MultiColumnComboBox, the column header can be customized by handling the QueryCellInfo event of the GridListBox in MultiColumnComboBox. Note: The default name of the column header is assigned from the ColumnName of the DataTable.